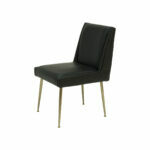 Beautifully shaped, this dining chair will add that extra elegance and charm to any dining room. 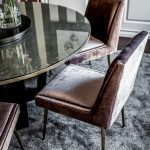 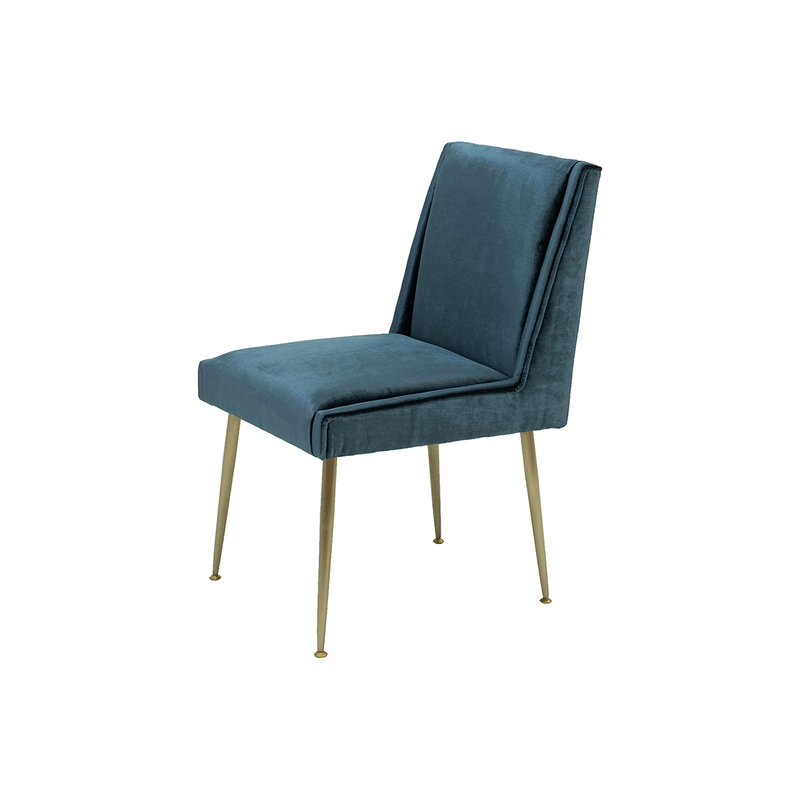 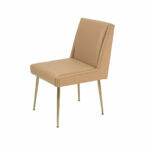 The chair rests on tall, slender tapered legs with a brushed brass finish for a chic mid-century feel. 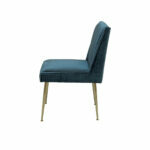 Available in velvet or genuine leather. 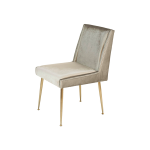 Stainless steel with a brushed brass finish. Upholstery in velvet or genuine leather.